The IPO market outshone itself in the past year; something that was not witnessed since the market went on a dot-com spree during the early 2000s. This radical growth in 2014 has set the ball rolling for the year 2015, and there’s no turning back from here. With some big names scheduled to go public soon, the IPO market will drive investor euphoria in FY 2015. Let’s take a look at the IPO frenzy of 2014, and how IPOs soared across the charts after a steep fall during the 2008 recession. 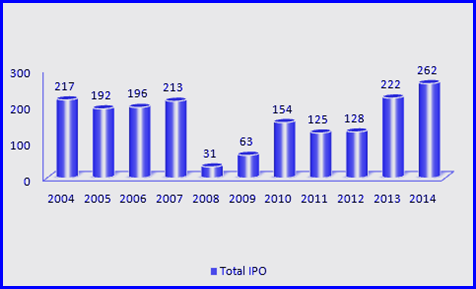 This graph draws a bright and promising picture of the IPO market for the coming years. But, are you wondering why there was sudden hysteria in the investor market? Let’s find out. Why The IPO Market Soared Between 2012 And 2014? 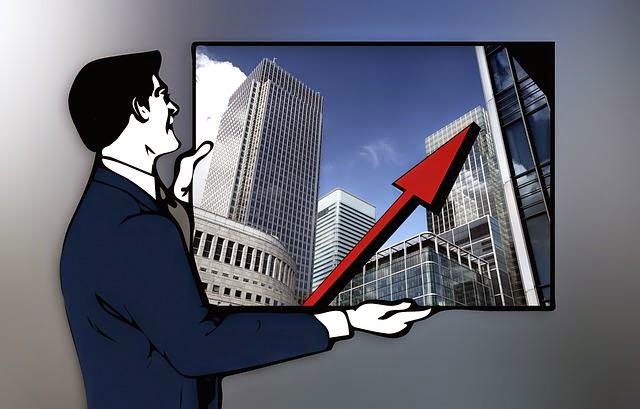 When big and popular companies decide to go public, they don’t just excite the interest of investors and bankers, but also inspire many private companies to follow suit. The IPO market died during the 2009-2010 recession, because people were apprehensive about putting faith in the stock market. But in the recent past, with a stable stock market and a healthy economic outlook, entering the market did not just become safe, but extremely profitable too. Facebook’s and Twitter’s positive outlook also drove many private companies to go public. Now that you have a brief idea of why the IPO market is gaining momentum, let’s jump to a list of highly valued startups in 2014 and why they will rock the 2015 IPO market. Hot IPO No.1 - Uber Inc. In June 2014, Uber Technologies Inc. was valued at $18.2 billion. At that time market experts believed that this uber-valuation presented the taxi-hailing smartphone app in a positive light, and showed significant growth potential worldwide. Recently, the CEO of Uber, Travis Kalanick, announced that the company raised $1.2 billion in its most recent round of funding. Several consecutive rounds since June have bumped up the company’s evaluation to a whopping $40 billion. There are reasons to believe that more might be in store for Uber, since Kalanick hinted that there could still be additional capacity for strategic investments. That said, you should keep a close eye on Uber when they go public in 2015. Hot IPO No.2 - GoDaddy Inc. Since its launch in 1997, GoDaddy has come a long way and currently has more than 12.2 million customers and 57 million domain names in its pocket. As one of the most talked of IPOs in 2015, it filed an initial public offering in June 2014 and put a $100 million placeholder value on the deal. The company seems enthusiastic to go public in early 2015, and is seeking an evaluation of at least $4.5 billion. Hot IPO No.3 - Box Inc.
Set to make an early IPO debut in 2015, Box Inc. is a cloud-storage company that works with approximately 34,000 companies and has close to 25 million registered users. The company is expected to grow in leaps and bounds, as the cloud services will probably expand to a $241 billion industry by the end of 2020. However, don’t grab the first chance to invest in the company just yet. Since the company is currently inclined towards developing its services and brand image, making huge profits in the foreseeable future isn’t likely to be their immediate agenda. Be patient and take your time with this one, but keep those eyes and ears open. Hot IPO No.4 - Xiaomi Inc.
Xiaomi might not yet be a big name in the US, but after Apple and Samsung, it is the third-largest provider of smartphones in the world. The company expects to sell a whopping 100 million devices in 2015, and is planning to hold an initial public offering in early 2015. It is expected to be valued at approximately $50 billion. While it still remains unclear if they will debut in the Chinese or the US market, the IPO from Xiaomi will likely be well received by investors and speculators alike. Started by Jack Dorsey, the co-founder of Twitter, Square has been actively seeking to grow in the online electronic payment sector. While the official details of when it is taking the IPO plunge are a little blurry right now, it is valued at $5 billion in the private market, and is showing no signs of slowing its actual business operations. Hot IPO No.6 - Airbnb Inc. Founded in 2008, the company has already been through seven rounds of funding, raising $800 million in the process. 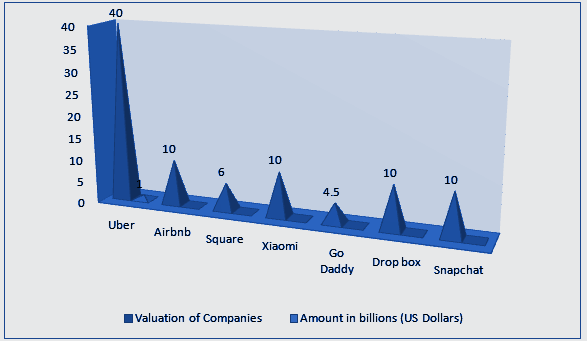 Airbnb is among the most highly valued start-ups, with a $10 billion valuation. It runs a website that enables property rentals, and specifically targets the hospitality market. As the company hasn’t filed for IPO yet, the specific revenue figures are still unknown. Airbnb IPO is likely to happen in next few months. But, it’s safe to say that with a reported growth of 6 million users, the company will have a lot to offer its investors in the coming year.